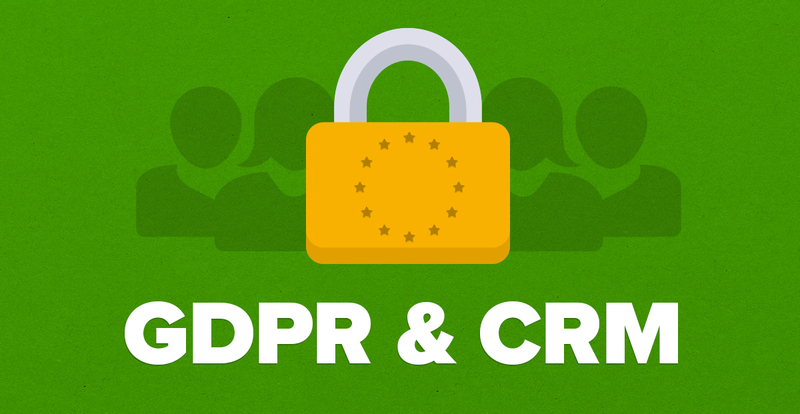 GDPR and CRM: How to Manage Your Customer Data in 2019! What is GDPR and why is it important to your business? The new EU privacy regulation called the General Data Protection Regulation (GDPR) has now came into effect. With it, it imposes strict requirements on the way businesses collect, store and manage personal data. GDPR provides citizens of the EU with greater control over their personal data and assures that their information is being securely protected across Europe, regardless of whether the data processing takes place in the EU or not. Personal data can be a name, email, address, date of birth, personal interests, unique identifiers, digital footprints and more. Typically, this is the kind of data you store in your CRM system. But, GDPR only impacts big companies, right? If you use a database to store prospect or customer information, then you cannot ignore GDPR. 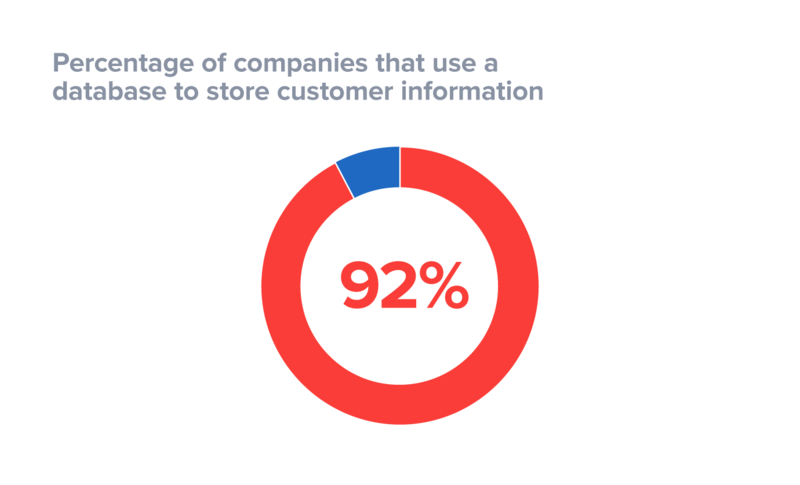 According to a survey from the Global Alliance of Data-Driven Marketing Associations (GDMA) and Winterberry Group, 92% of companies use databases to store information on a customer or a prospect. Therefore, GDPR impacts businesses of all shapes and sizes. Why is GDPR important to your business? If you use a CRM solution, then it should support the collection and management of personal data in a secure way. 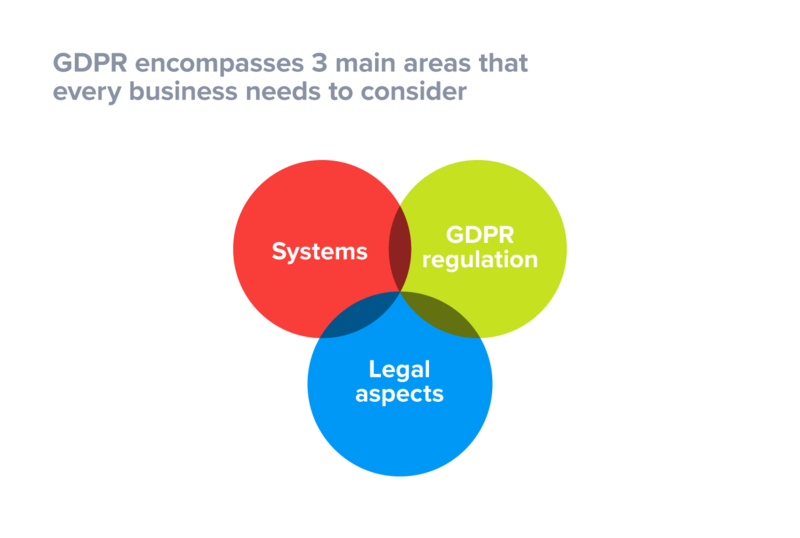 With regards to the regulation and understanding of the legal aspects and privacy rights described in the law, we recommend that you seek legal advice and consult other GDPR resources to ensure your business is compliant. Your national data protection authority has useful descriptions and explanations on privacy. For more resources on GDPR, you can read the complete legislative text of GDPR here, and the EU has an official GDPR web portal, where you will find relevant explanations of what your business needs to do. How can CRM support your journey to GDPR compliance? GDPR has a big effect on how businesses collect, store and secure personal customer data. This means that GDPR impacts marketing, it changes sales prospecting and it requires change in customer service departments as all personal data needs to be handled in a more professional manner. The good news is that GDPR and CRM have a lot in common as both GDPR and CRM are about building deeper trust and loyalty with new and existing customers through the professional handling of personal customer data. At SuperOffice, our product team has been busy developing new features to support our customers journey towards compliance. GDPR and privacy management go hand in hand together. Privacy is not something that is added to an existing application, but built into the core architecture and functionality. GDPR comprises of eight basic rights. These rights are given to individuals to protect their private lives and control the digital footprints they leave behind when using internet-based applications and services. These rights are meant to create openness, control, and trust between the parties. 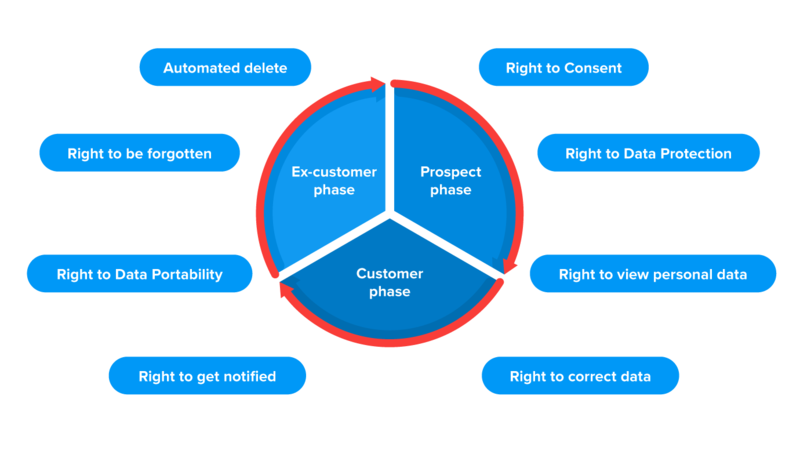 GDPR specific functionality in SuperOffice CRM supports the fulfillment of each of the 8 rights. Customer data, which goes into a CRM, is by default, also personal data. Different types of data have different rules for how it should be processed. For example, basic data such as names, addresses, phone numbers are more general data and can be open to all employees within your company. On the other hand, highly sensitive data such as tax information, bank account information, personal agreements, and contracts require more security and relevant user access. SuperOffice CRM allows you to set up routines and automated rules for how different types of personal data can and should be handled by your company. The number of GDPR compliant features will continue to be rolled out throughout the year. But, the first wave of GDPR features became available in a new version of SuperOffice CRM in February, 2018 – before the May 25th deadline. 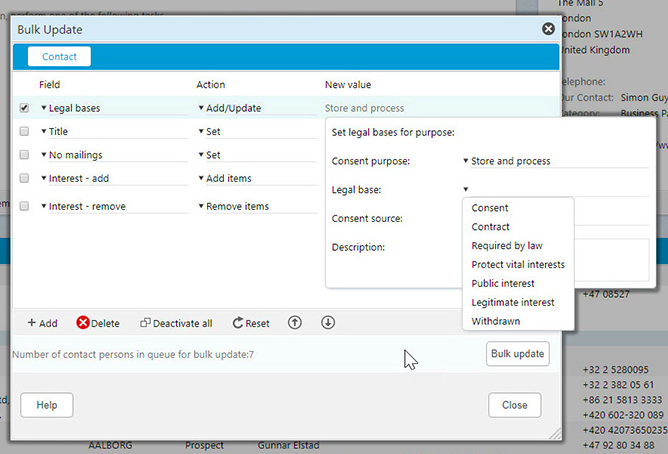 These 3 features included consent management, subscription management and bulk updates. GDPR requires businesses to have a defined purpose for collection information persons. This reason (or purpose), should always be supported by a legal basis. What is a legal basis? A legal basis can be a contractual obligation, a legitimate interest for storing and using data or that explicit consent has been given. Anytime that consent is used as the legal basis for collecting and storing personal data, GDPR requires that a company prove that consent has been granted by a person. 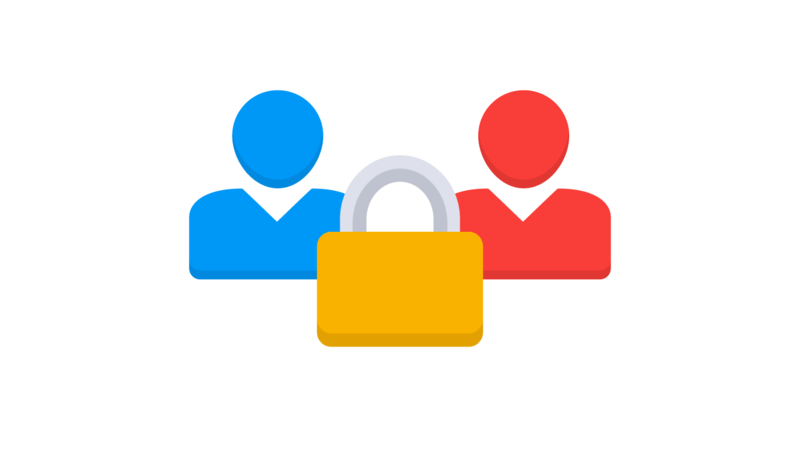 For each contact (person) inside SuperOffice CRM, you can digitally record consent, state the legal basis for why you’re storing the data, store the source from where you got the consent (for example, a webform) and store when and who has updated the information. Even when a contact has given his consent to receive email marketing campaigns from your company, he/she should always have the right to object or opt-out from receiving future marketing communications, according to GDPR. New functionality inside SuperOffice allows prospects and customers to decide for themselves what kind of information they want to receive – whether it’s blog post updates, white papers or product training material – as well as decide on the type of content they do not want to receive. This new feature means you can send highly targeted emails to subscribers based on their interests – which is something that GDPR encourages when it comes to email marketing. For email marketers’, this is the Holy Grail as segmented email campaigns significantly improve your email marketing results. This first phase of these CRM features was all about helping you to make your customer database GDPR compliant. Once you’ve evaluated your database for what kind of personal information you have, where it comes from and what legal basis you have for keeping it, and set up how you want the data to be handled, you will need a way to update all this personal data in the new GDPR world. Bulk updates help you to tune up and clean up your database in an easy way. Rather than updating personal records one by one, which is can be time-consuming, you can set up specific rules and use the bulk update feature to set purpose, legal basis, source and date on multiple records in a single click. – saving you a ton of time! GDPR is in full effect! If your current CRM system doesn’t support these GDPR compliant features, you need to find a new solution, before it’s too late! To test these new features out, sign up to a free demo. Once you have signed up, one our experienced sales reps will walk through the new functionality and show you how they can support your business in a GDPR world. If you’re not yet ready for a free trial, then sign up to one of our events to learn how GDPR affects the way you manage customer data. For customers that use our cloud-based CRM solution, these features are automatically available to you when launched. Plus, our SaaS CRM is ISO certified, so you and your customers can be rest assured that your data is safe and secure. What kind of challenges have you come up against in your GDPR journey? Let us know in the comments section below. Do you want to learn more about how GDPR and SuperOffice CRM? Request a free, personalized demo below and we’ll walk through it, step by step. Disclaimer: The content in this blog post (including all responses to comments) is not to be considered legal advice and should be used for information purposes only. As Director of Product Marketing at SuperOffice, my job is to showcase the benefits and value of each new product and feature we launch. While I occasionally create content for the SuperOffice blog, I spend most of my time sharing product tips and tricks on our dedicated customer community. I agree that GDPR compliance is challenging – no question about it – so thanks for the helpful information. I think it’s important to note (at least from what I’ve seen) that scope must be determined early on and that quite a bit of documentation needs to be in order. Scope in that controllers and processors need to be aware of what personal data are they storing, processing, and transmitting for EU data subjects. I’m also finding that GDPR compliance for U.S. businesses is quite challenging because the almost overwhelming amount of information that needs to be consumed and understood by internal compliance personnel – it’s quite a bit to say the least. Good luck everyone on GDPR compliance. Thanks for comment, Grant. And you're absolutely right, it really is a challenge! This is good stuff but there is at least one hint that the approach may be different for the cloud-based version of SuperOffice compared to in-house. Are the GDPR-related differences spelt out anywhere? I am struggling with the "right to be forgotten" with regard to sales information. If we sell to a customer we record that information for accounting purposes, say name, address and invoice value. If that customer then chooses to "be forgotten" we are legally bound to delete all the data we have on them - presumably including our sales record. Which then makes our sales totals wrong. I must be missing something here? Hi Lalit, you're right it is confusing! I feel your pain here, but luckily, the way you handle customer information is less strict compared to prospect information. With several technological advancements in the digital marketing world, GDPR and CRM will both complement each other. GDPR and CRM are having the same aim i.e. builds deeper trust and loyalty with your contacts by handling their personal data professionally. GDPR’s main aim is to protect the privacy of people that superficially looks like a threat to outbound marketing. But it’s actually not! Here is an in depth article about the connection between GDPR and outbound marketing. Thanks, Cathrine for sharing this unique information about the connection between CRM and GDPR. Thanks, Pierre! GDPR applies to any business that stores customer data - so it applies to both B2B and B2c. Thanks, Pierre, And yes, Steven is right. GDPR applies to all types of organizations handling personal data. It doesn't separate on whether your company focusses on B2B or B2C or operate in the private or public sector. The directive does, however, set even higher requirements if you prosses personal data of sensitive nature (e.g. political beliefs, sexuality, religion and so on) (Art 9). If such type of data is necessary to provide your products and services you are best to look into what the GDPR says explicitly about such type of data. There are many sources that can help you, and one that I personally find useful to look at is the legal firm of DLA Piper and their GDPR section. Hi Patricia, thank you for taking the time to comment. You can store and keep a sales lead for as long you wish, but if you cannot communicate with them (i.e. you do not have their consent to send marketing emails), then there's little reason to keep them stored, unless you just need to keep a record of who you have previously connected with/ reached out to. This is a very good question Patricia, and one we discussed internally at length too. When we updated our Privacy and Data Quality System to reflect the new regulation, we also chose to seek legal advice to be sure that we were on the right side of the law. And you may want to do the same. It is possible to store data, including prospects data, as long as you have a legal reason to do so, for example, that you have a legitimate interest in selling to that person. However, as Steven said if you have no means of getting in touch or intention to do so, you can question whether you still have a legitimate interest in keeping their data, and instead should delete it as you do. In our company we decided to define when to delete prospect data automatically from our systems based on specific time and lack of consents and/or out or inbound activities between us and the person during that time. Having a strategy and ability to follow that one up is pretty important, and whenever you are in doubt, seek legal advice! Interesting article... Was searching for this regulation to adopt for EU customers! Very interesting and useful post! We are in the situation that as a company we have not previously had a CRM tool. We now want to convert what limited customer data we have into a CRM tool and start sending them information about events or news. This means our contacts have neither opted in nor opted out. Can we send an initial email to ask whether they would like to opt-in? Hi Petra, thank you for a great question! Are all of the contacts that you wish to import customers of your product or service? If so, then it should be fine to send them email updates. Great point, Katherine. I agree, it does appear to be a little too much. Unfortunately, I haven't seen any legislation that supports either/ or. Great article!!! Thank you!!!! Most CRM applications allow the concept of primary account and sub-accounts. As such, a data entry person can create accounts on behalf of and sub-accounts - what is the implication now with GDPR. I have a store that sells to EU customers and worldwide Do I need to set the consent for all customers or just target EU? I recommend doing it for both. It's only a matter of time before customers outside the EU will be subjected to similar privacy regulations. Sign up to a free SuperOffice CRM trial. It’s free for 30 days. No credit card required. Driven by a passion for customer relationship management, SuperOffice is one of Europe’s leading suppliers of CRM solutions to the business to business market. Our software supports the individual user in achieving stronger sales, marketing and customer service productivity.